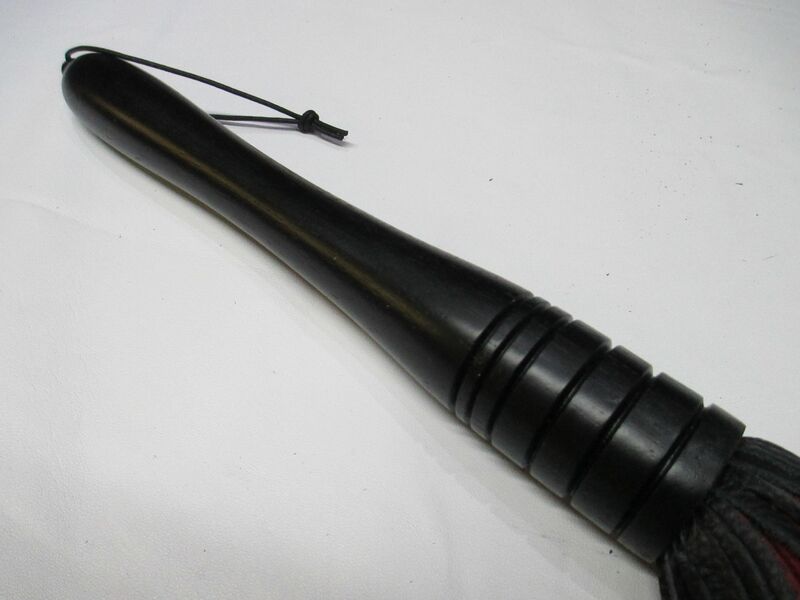 Black stained/Melamine Oak hard wood handled flogger (Turned by a member of our team) to our own unique, elegant and recognisable design, with end black leather hanging cord and quality screw fixed fitting. 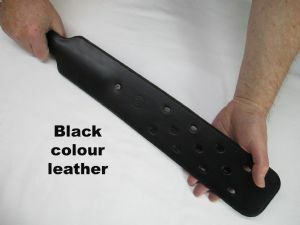 Falls are made from genuine high Grade A leather in Midnight Black and Viola Purple (Shades may vary slightly from the image due to the tanning process by the supplier). 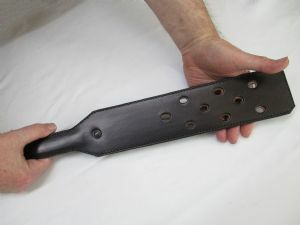 Falls are an incredible 3mm wide, 19 inches long, amount around 50 falls (Note * The amount may vary slightly due to varying thickness of the leather hides that we purchase from our regular supplier), and are stitched, bonded and screwed into the inner part of the handle securely.